Trek deep into the pristine valleys of Ladakh in search of the rare and magnificent Snow Leopard. This amazing 13-day guided trek takes you from the ancient town of Leh into Rumbak, the scenic realm of the Snow Leopard and home to a rich variety of exotic Himalayan wildlife. Your guided Himalayan snow leopard tour starts as you arrive at the quaint town of Leh, known as the “roof of the world”. Settle in to your cosy hotel and get some rest. 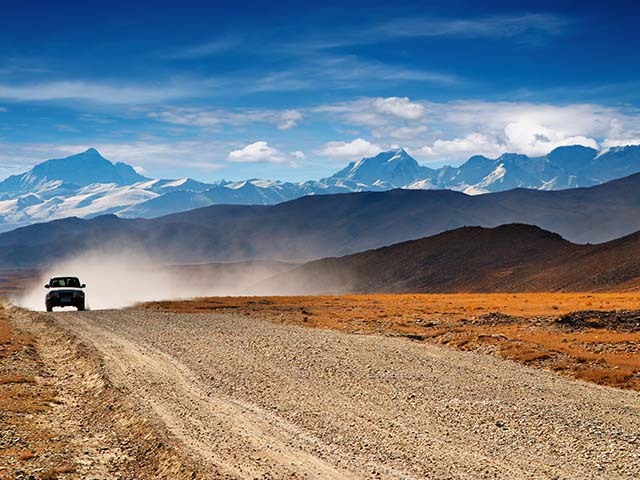 Start your journey at Leh – the capital of the ancient Himalayan kingdom of Ladakh. Situated at 3,500m above sea level, nestled in the Indus river valley, this quaint town features breathtaking views of the surrounding mountains. Upon arrival transfer to the hotel. 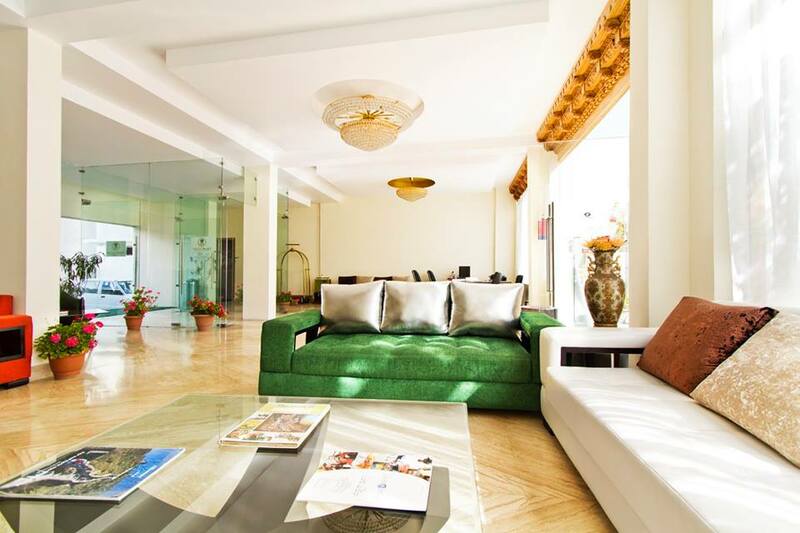 Spend the day relaxing at the hotel and acclimatizing your body to the lowered levels of oxygen. Learn about Tibetan Buddhism today as you visit Shey Palace, Thiksey and Hemis monasteries on a Leh tour. Take a tour of some of Leh’s Buddhist sights today. Visit Shey palace, the former summer retreat of the kings of Ladakh. Built in the 17th century, the palace is mostly in ruins now but set against snow-capped mountains, it still makes for a beautiful sight. Also visit Thiksey monastery, a 12-storey complex housing Buddhist stupas, statues, swords, and art. See the interesting future Buddha temple, Tara (goddess) temple, and assembly hall. A visit to the wealthiest monastery in India – Hemis monastery is also included in the tour. Hemis houses a rich collection of heritage art and artefacts including silver and golden stupas, a copper statue of Buddha, and sacred Thangkas (Tibetan silk paintings with embroidery). Explore the huge courtyard, assembly hall, and temple at this colourful monastery. Return to your hotel for the night. Begin your snow leopard trek across the Himalayas today. Trek to Husing Camp and further up looking for snow leopards. Spot blue sheep, great Tibetan sheep, and many birds of prey on your way. Your actual trekking adventure starts today! Drive for an hour to Hemis National Park from where you will trek to Husing. Husing lies at a junction of a major snow leopard corridor and the cats have twice been spotted mating on its high ridgeline. Trek for an hour and a half from Zinchen village to Husing Camp (3,700m above sea level) and arrive in time for lunch. After settling into the camp, trek high up to Tarbung Nala in search of the elusive snow leopard. Later, return to camp for the night. Hemis National Park is the largest notified protected area in India. It is noted for its population of snow leopards, great Tibetan sheep, blue sheep, Ladakhi urials, Tibetan wolves, and Eurasian brown bears. While you are trekking, you may also spot birds like golden eagles, Eurasian eagle owls, Himalayan griffons, Himalayan snowcocks, white-winged redstarts, robin accentors, white-breasted dippers, and brown dippers. Spend the night in comfortable, two-person tents at Husing Camp. The camp has a basic toilet tent, as well as a dining tent (with a table and chairs). All meals are cooked fresh in the kitchen tent and the cuisine varies from basic Chinese to Ladakhi, and Continental. Note: Trek on full board with services of a cook, helper, ponies, tents. Spend the next two days in search of the snow leopard in Hemis National Park. Hike to Rumbak Sumdo, Lato, and other areas to look for the mysterious cat. From this day onwards the itinerary depends on the movement of the snow leopard and thus, it has to be very flexible as you trek and camp depending on the movement of the cat. Spend the next two days scouting for snow leopards. Leave early in the morning and look for signs and possible sightings at the junction of Husing Nala and Tarbung nala. Head back to camp for breakfast and rest. Then hike up the main Lato Nala till you reach a vantage point at Rumbak Sumdo, all the while keeping a keen eye out for the elusive cat. You can also see birds like common rosefinches, Eurasian wrens, Himalayan snowcocks, Eurasian sparrowhawks, and golden eagles in this area. Blue sheep are also found in large numbers here. Return to Husing Camp for the night. Trek to Rumbak – the snow leopard capital of the world. See the great Tibetan sheep, ibex, blue sheep, and Ladakh urial while you continue your search for the snow leopard. A three-hour hike takes you to Rumbak village - the snow leopard capital of the world. You will now be 4050m above sea level and enjoy a local homestay for the night. 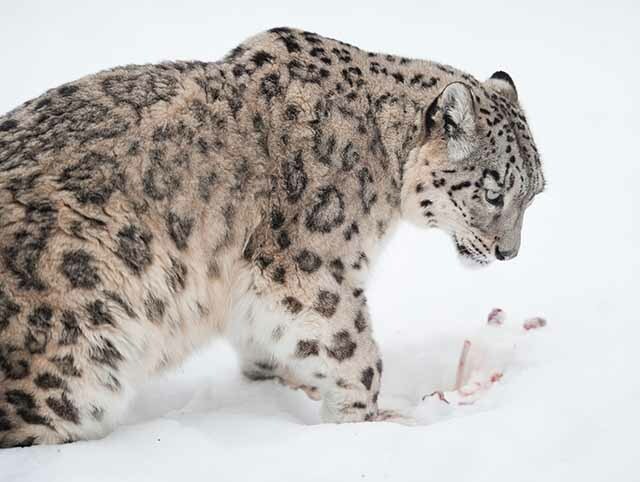 Spend the day exploring the Rumbak Mountains for snow leopards and other wildlife. Climb up to 4600m towards Yurutse pasture looking for the great Tibetan sheep, ibex, blue sheep, and Ladakh urial. Birdwatchers should try to spot goldcrests and brown dippers here. Explore the Rumbak area in search of the snow leopard. 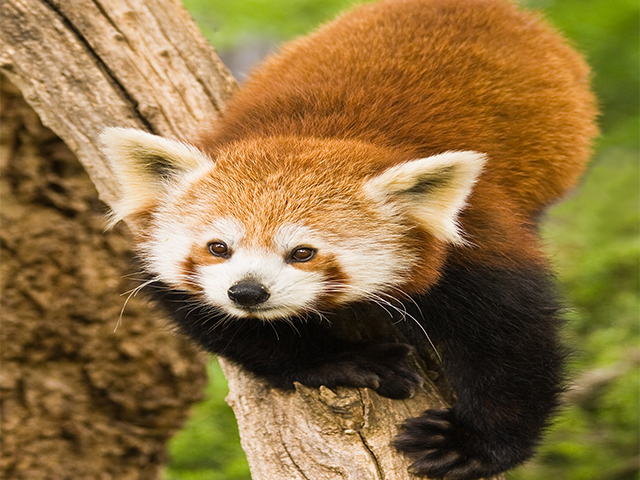 Also see other local wildlife such as the Tibetan argali, Eurasian lynx, and Tibetan wolf. Over the next few days, spend time hiking up to different vantage points to look for the snow leopard. Trek times will vary depending upon the weather and the movements of the cat. Treks could last anywhere between three hours and eight hours (if needed). Explore Husing Pass, Sumdo, Ganda la base, Stok la base, and Kharlung area. On your mission to see the snow leopard, you are likely to spot the Tibetan argali, Eurasian lynx, and Tibetan wolf as well. Look out for birds like Tickell's leaf-warbler, black-winged snowfinch, wallcreeper, Eurasian hobby, plain mountain finch, and Olive-backed pipet. Each night return to your homestay in Rumbak for a good night’s sleep. This is possibly your last day of looking for the snow leopard. Explore the Kharlung area and then head to Husing Camp for the night. Today is scheduled to be your last day to spot the snow leopard. Explore the area around Kharlung to look for the cat. Then, head back to Husing Camp for the night. After having (hopefully) successfully spotted the snow leopard, trek down to Zinchen village and transfer to Ulley for a homestay. Hopefully, you will have successfully spotted a snow leopard by this day. If you have, then you will trek for an hour down to Zinchen village and drive to Ulley. Spend the night at a comfortable homestay in Ulley. If you have not spotted a snow leopard yet, then the itinerary will be modified keeping this in mind. Spot ibex in the Ulley area on your final trek. Then, say goodbye to this beautiful landscape and travel back to Leh. Go on your final trek today to see ibex in the Ulley area. Then bid farewell to this pristine landscape that has been your home for the last few days, and head back to Leh. Get some well-deserved rest at your hotel and prepare for your departure next day. After 12 exciting days exploring the Himalayas, your journey comes to an end with a transfer to the airport for your onward connection. Your exciting snow leopard tour comes to an end today as you are transferred to Leh Airport for your onward journey home. For Advanced level tours, we recommend previous experience of the activity involved. These are our most challenging and advanced expeditions. They include long walks, cycling, trekking, hiking or rafting in variable weather conditions for more than ten hours a day. These trips may often be over three weeks in duration. Ascents and descents are over 1000m at altitudes up to 6000m and the climate can be rigorous and challenging. Excellent physical condition and previous mountain trekking experience or appropriate preparation is essential.